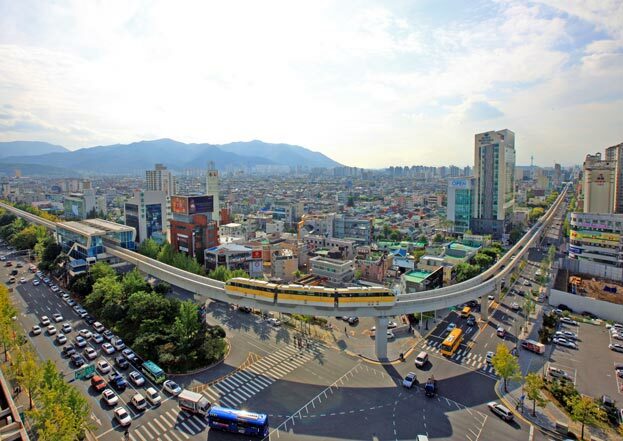 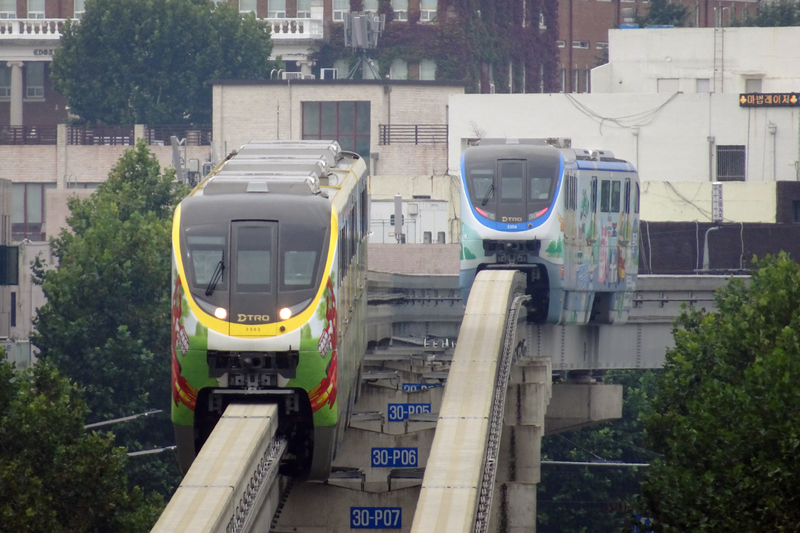 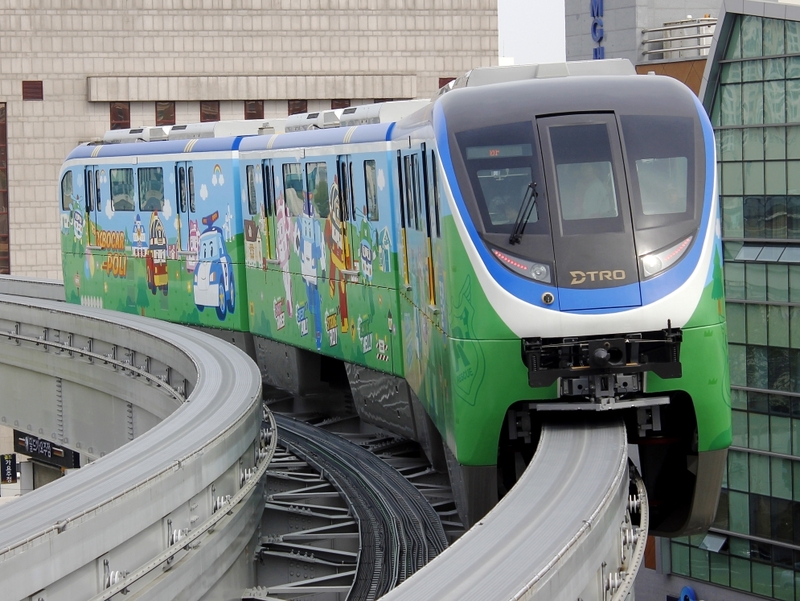 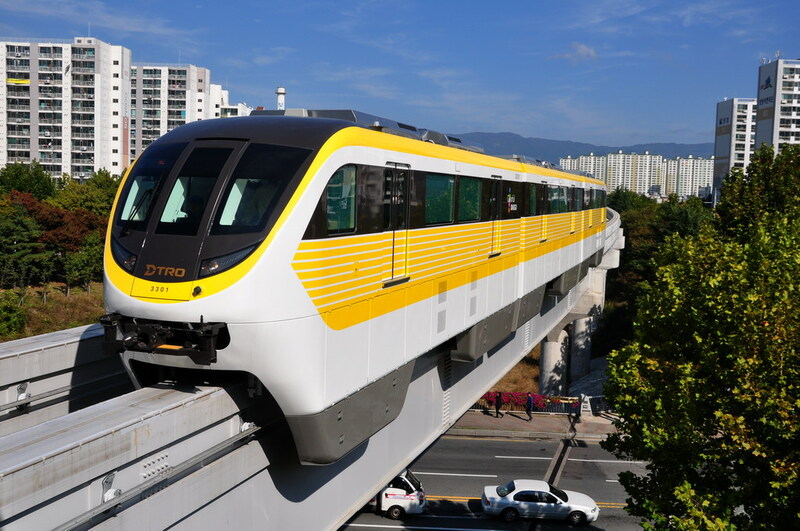 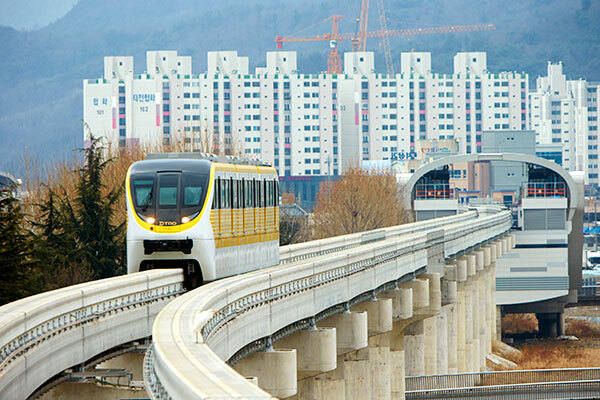 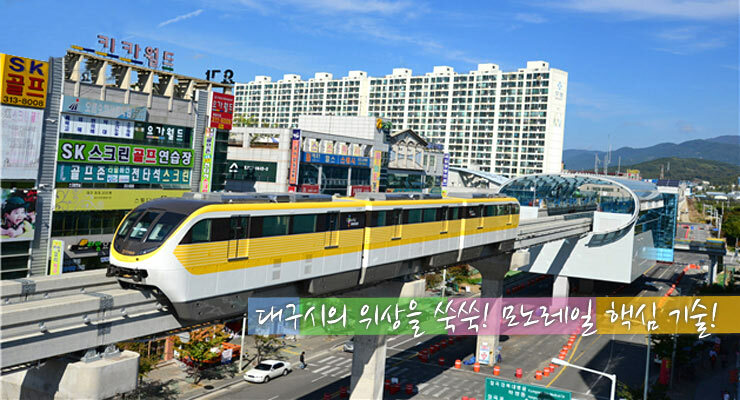 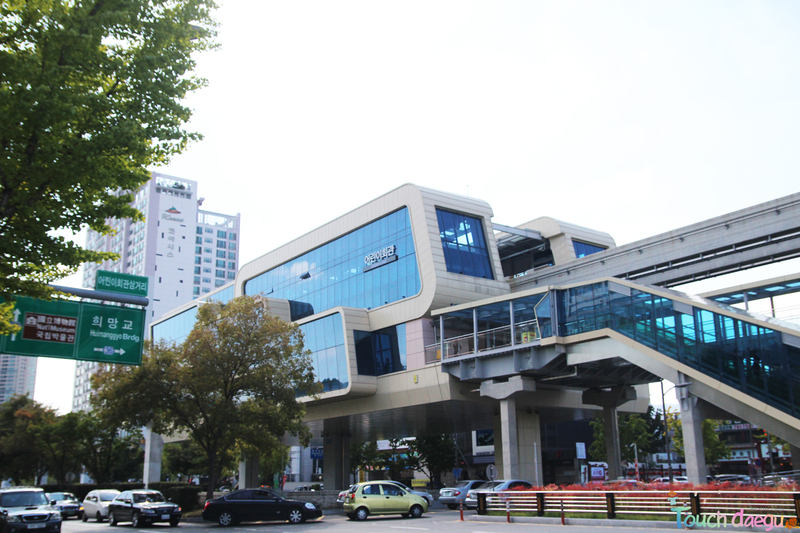 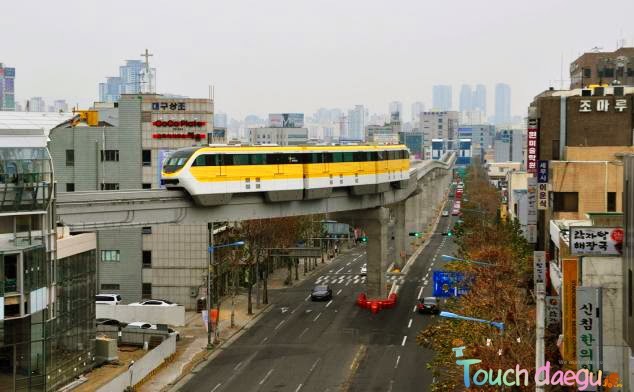 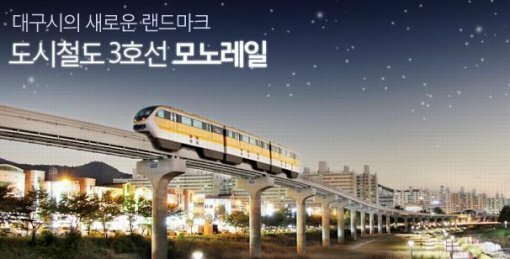 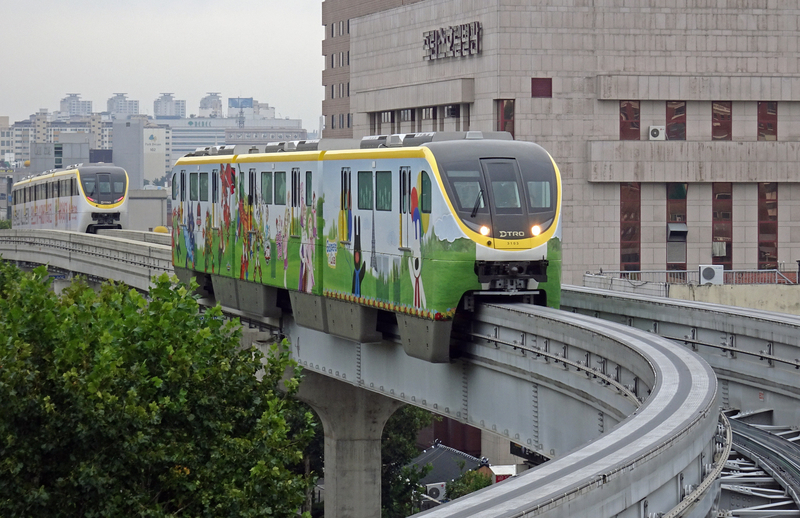 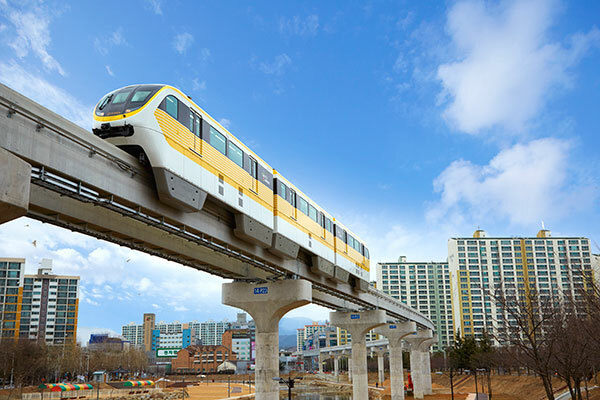 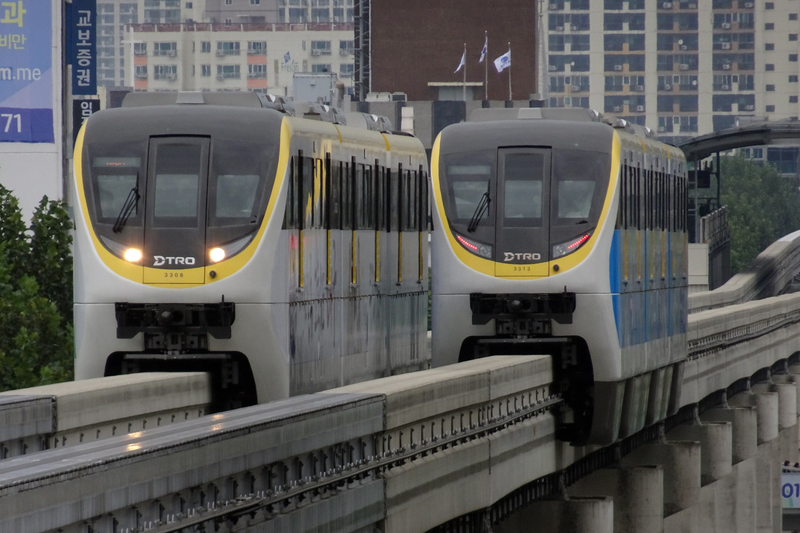 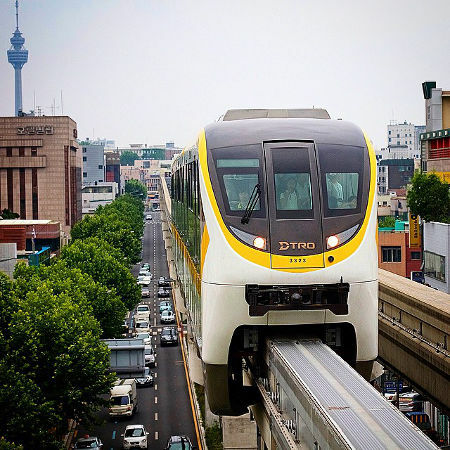 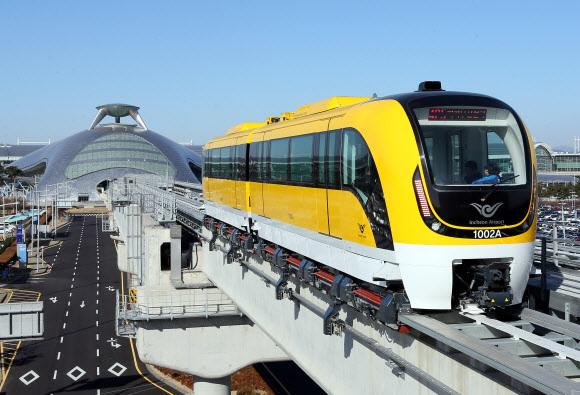 Daegu, the fourth largest South Korean city and home to a Hitachi built monorail which opened in the spring of 2015. 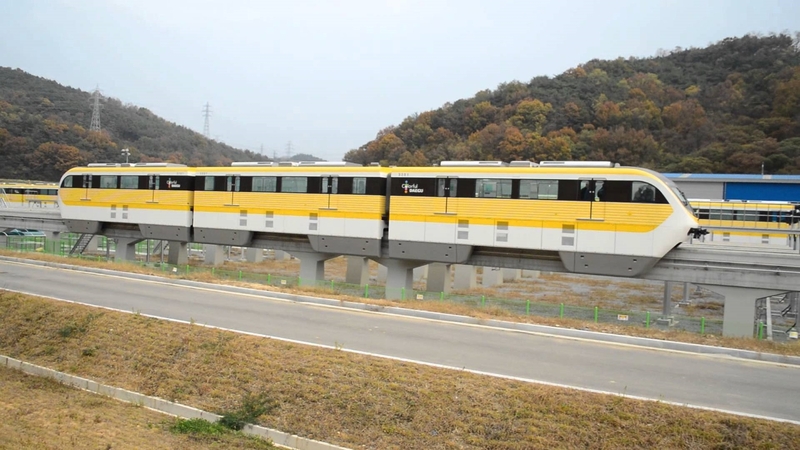 The system consists of 30 stations, and just under 15 miles of double track. 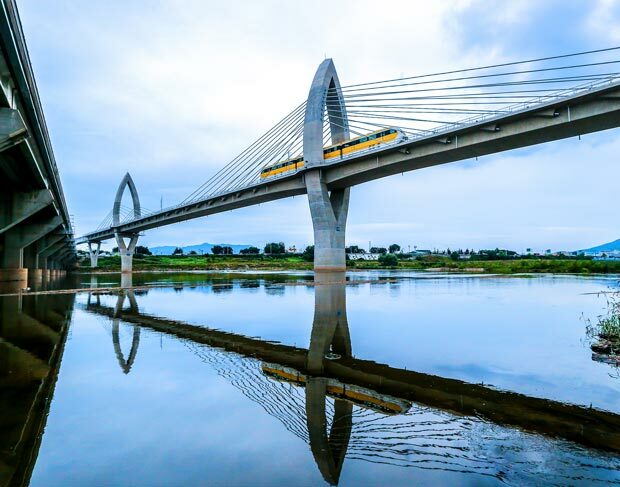 Construction took six years at a cost of $792 million. 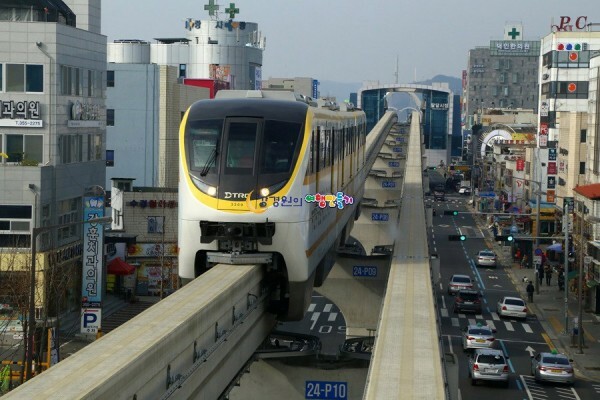 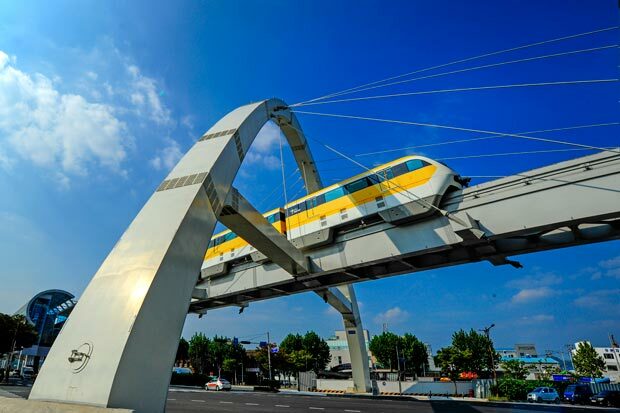 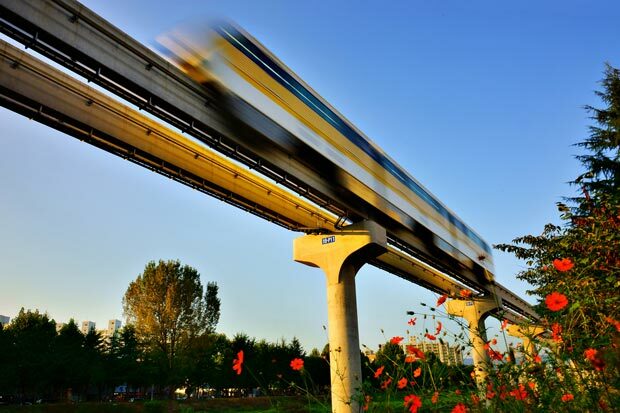 The monorail connects the north-western and south-eastern parts of the city and transported an estimated 84 million passengers during its first year of operation. 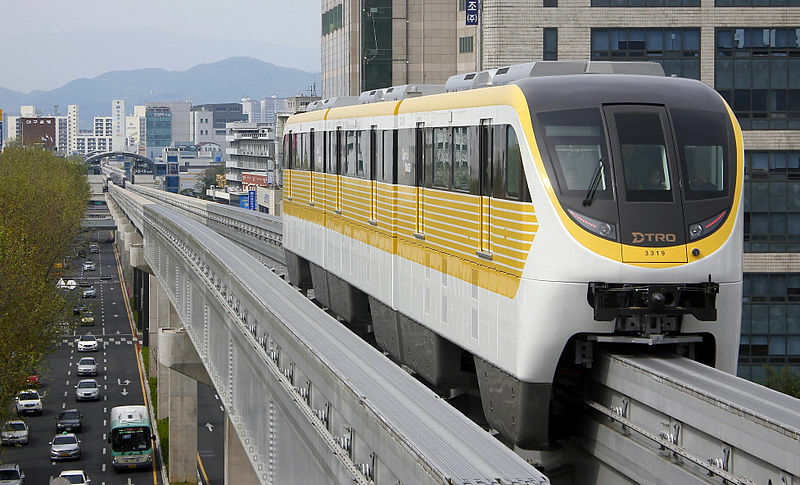 Route extensions are planned. 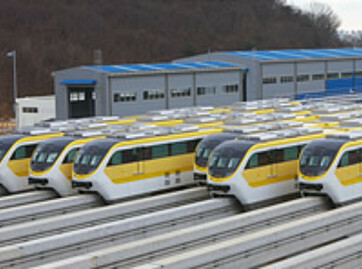 The system consists of 28 train sets comprising a total of 84 cars. 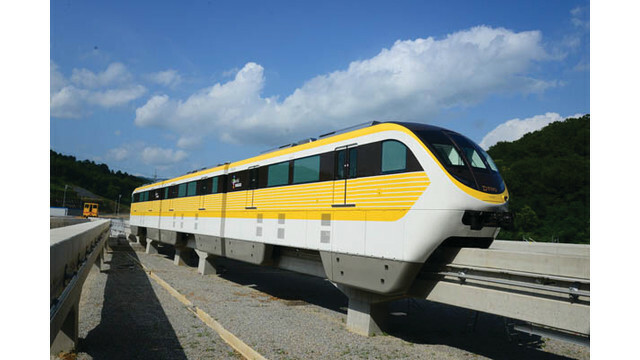 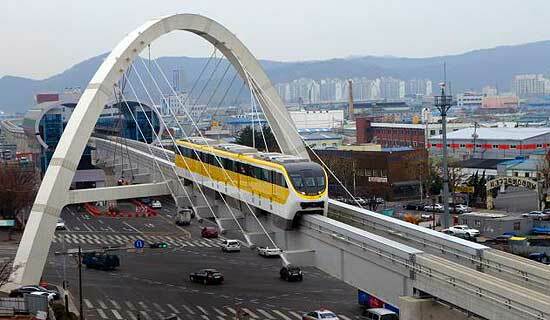 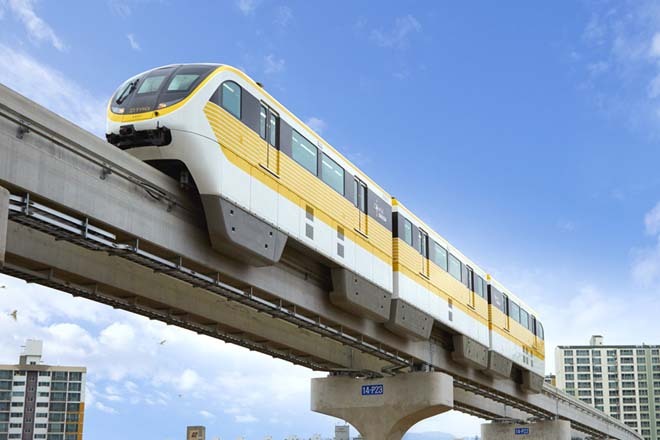 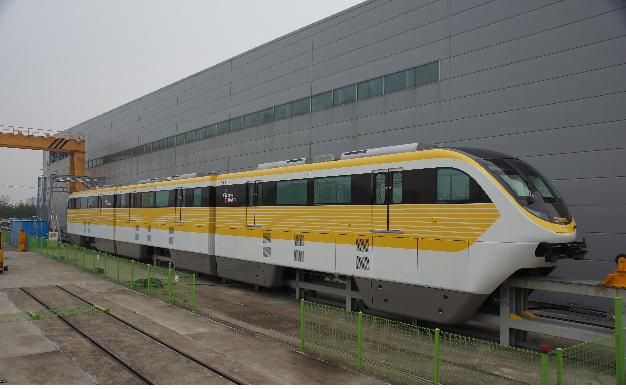 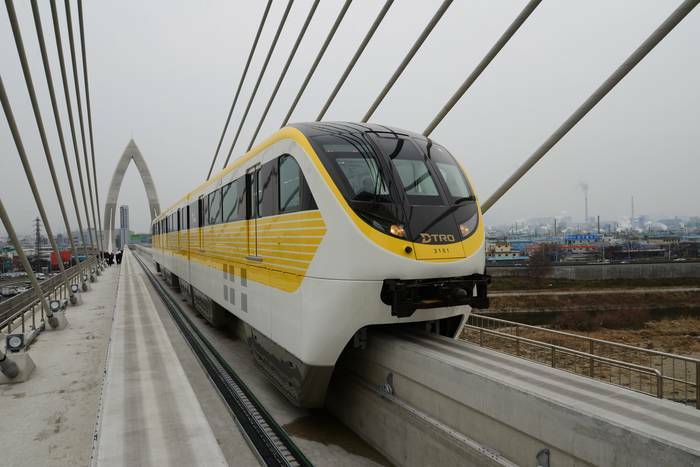 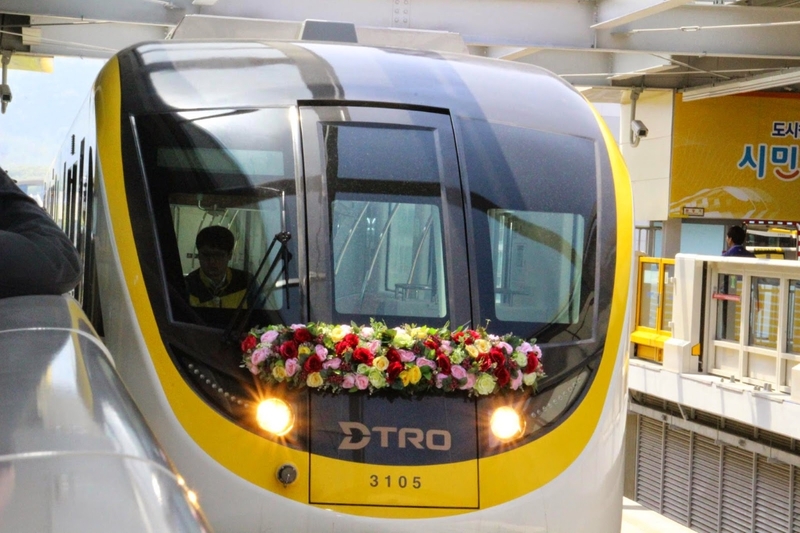 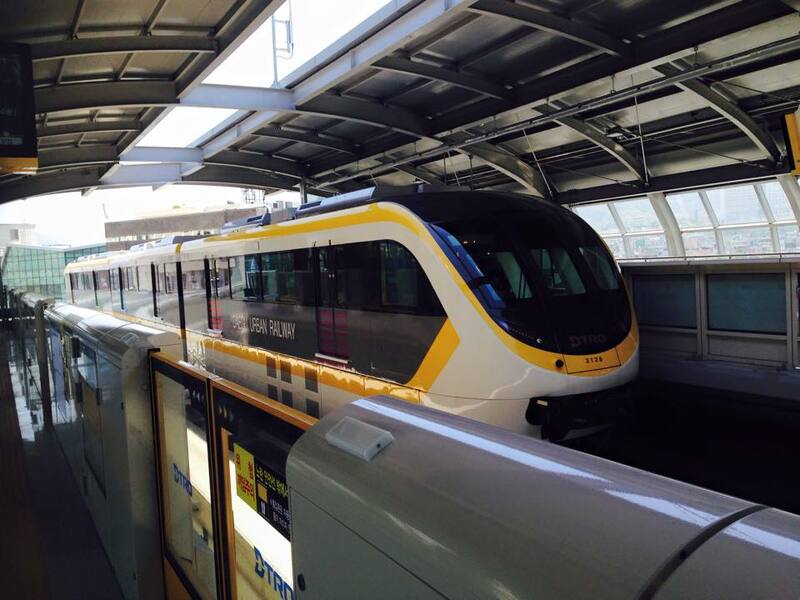 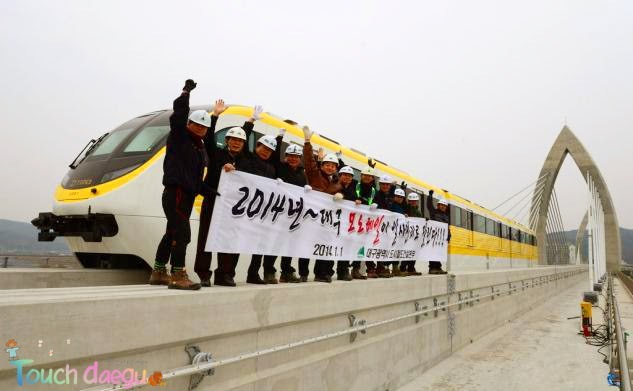 The three car trains are 49ft long, 9.5ft wide and 17ft-high and can accommodate nearly 400 passengers per train. 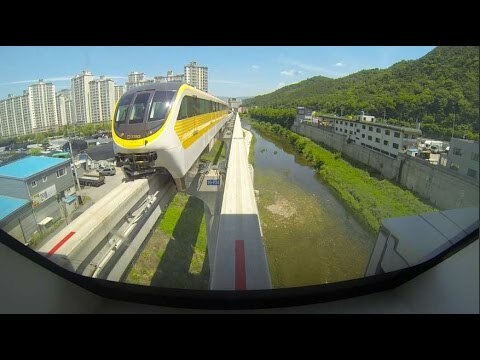 Time between stations is two minutes. 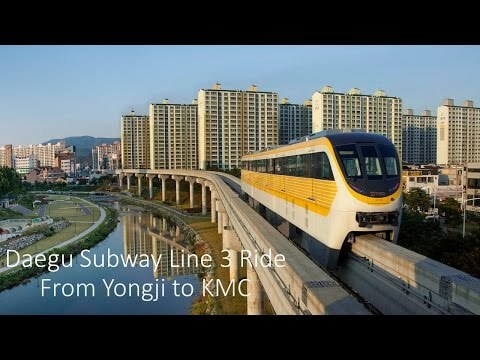 Total route time is 46 minutes.